PRICES REDUCED!! Save 40% off the RRP on the Hampton White range. Hampton White is sophisticated in its simplicity. 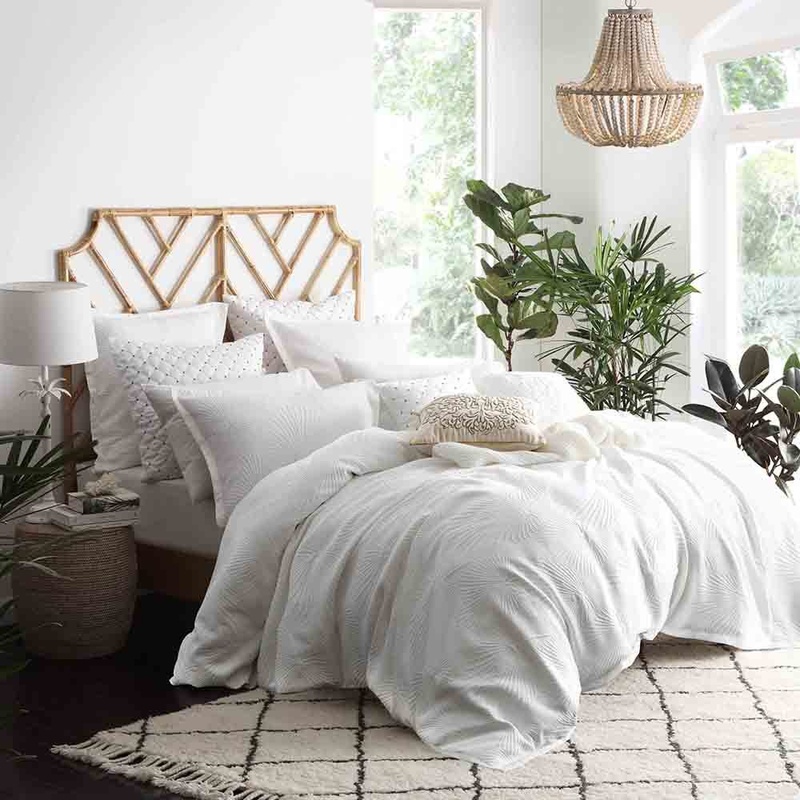 Natural cotton matelasse is woven with large-scale, raised palm fronds, imparting rich texture to the white-on-white palette.